When Snapchat appeared on the market in 2011, it offered marketers and business owners new and original ways in which they could advertise and promote their products or businesses. Something different from what they knew and were used to. Snapchat has taught people the importance of real-time content, of transparency and last but not least, of fun. Snapchat Stories gives marketers the opportunity of promoting products and businesses in a very playful manner with the help of a gallery of photos or videos of a maximum of 10 seconds each. Every Snap (the one you’re simply sending to your friends included or the one from Memories) can be edited with the help of some features. You can add text, doodle, add emojis or bitmojis, use the lenses before shooting your photo or video and what we’re talking about today… filters! Filters are something many apps already had before Snapchat became popular, but that didn’t stop this feature become a major hit within snapchatters. Let’s see how you can add filters to your snaps. How Do You Use Snapchat Filters? First, you need to go to your Settings and then Manage and toggle the Filters button. That’s how you enable them for your account. Then, go and take a photo or record a video with Snapchat. All you need to do in order to get to the filters is simply swipe left or right to choose between types of Filters. 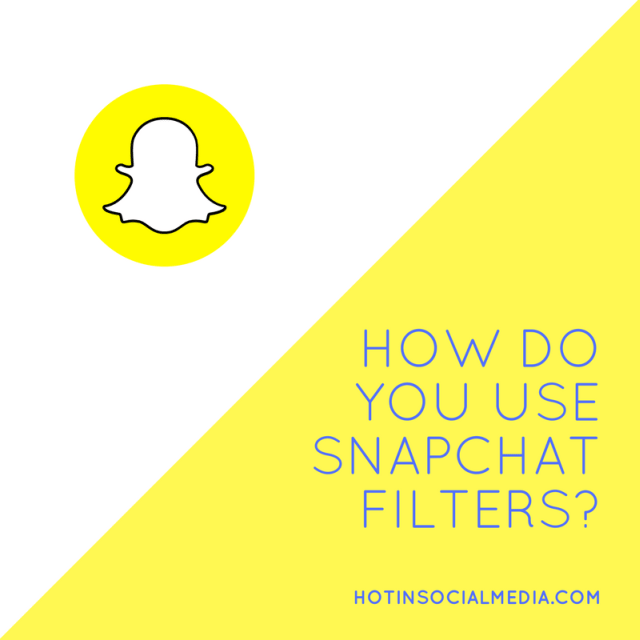 There are 8 basic filters (that all Snapchat users have) that somehow alter your photo or add something to it, and others like Geofilters or branded filters which depend on your location. If you’re recording a video, you’ll see that there are 4 other special filters you can use in order to apply slow-motion, fast-forward or reverse effects to your snap. Some of the basic filters modify the light or the colors in your snap or make it black and white. Other filters add icons or text over it like showing the hour, the speed you had while shooting your snap or the date. Each of these, if tapped, can show different versions of the same information. For example, you can choose if you want to see your temperature in Celsius or Fahrenheit. Many brands have already embraced advertising on Snapchat and created personalized filters which users can play with for a while. If you’re lucky enough to live in a time zone in which Snapchat has already introduced Sponsored Geofilters, don’t hold back and create one for your business. Find how to do that, here. When the Gilmore Girls mini-series has launched, Netflix has made a collaboration with 200 coffee shops in order to promote it. 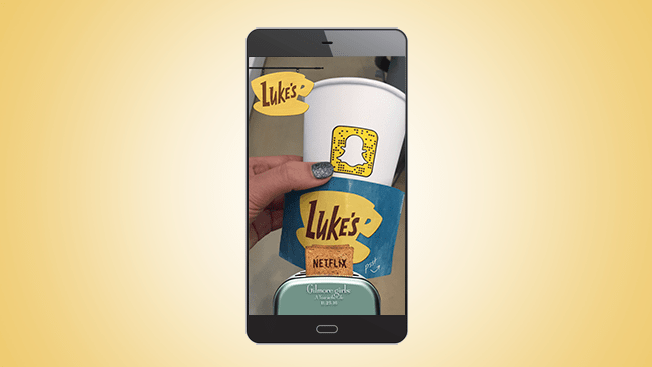 They used Snapcodes in order to get users to a sponsored filter of the fictional café Luke’s from the series. The users only had to scan the codes on the coffee cups to find the special filter. One trick not many people know about is that you can add more than one filter to your snaps. Actually, you can add three! All you need to do is hold a finger on your snap after adding a filter while swiping with another one. Repeat the procedure if you want to add a third filter. For example, the picture below has three Snapchat filters: the black and white one, the one with the temperature and one geofilter. Snapchat is a great business opportunity and if used right, its features can help you raise awareness about your business and make it popular in no time! So make sure you’re making the best out of filters, lenses and all that Snapchat offers its users. Hope you found this article useful! Happy snapchatting! See also: How To Be A Successful Snapchat Influencer?